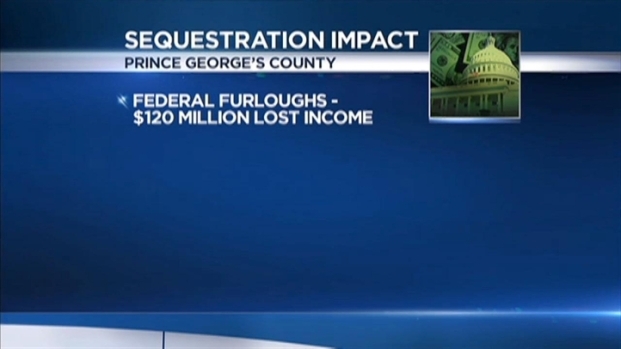 Small businesses in Prince George's County met with Sen. Ben Cardin to express concerns about the impact of sequestration. Ignore the finger-pointing and forget what the partisan pundits say; everyone on Capitol Hill and inside the White House is at fault. They are all equally culpable. Blame is a smokescreen the purpose of which is to conceal failure. Blame is a game that never solved anything. There is absolutely no reason to think that Democrats and Republicans -- or, for that matter, Democrats and Democrats, or Republicans and Republicans -- will find common ground on revenue and spending issues. Not, at least, until something really bad happens. Set some aside. They will come in handy if The Sequester, like so many overhyped things, comes and goes with a whimper. Automatic Budget Cuts in D.C.